EveryJuan is a winner with the new seat sale! Book now until August 14, 2016! 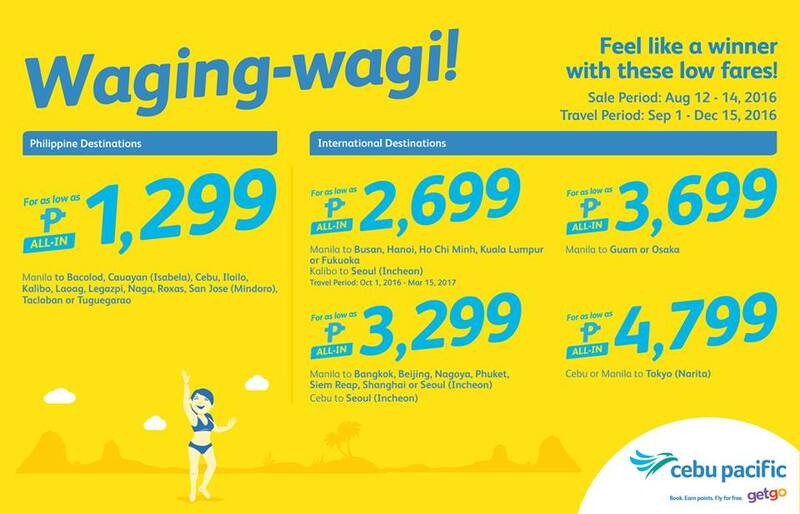 Get this amazing Cebu Pacific Waging-wagi! Feel like a winner with these low fares EveryJuan is a winner with the new seat sale! 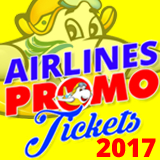 by booking online for as low as 1299 pesos to select Philippine destinations and International Destinations this coming year 2017. 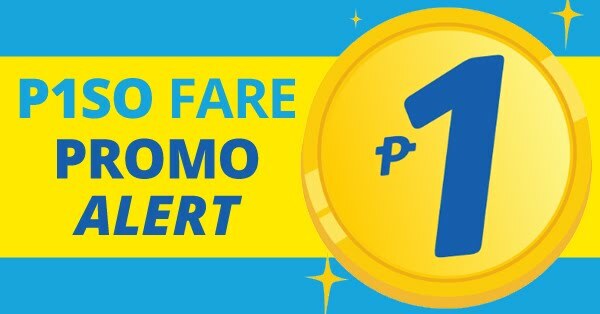 You can buy this promo up to August 12-14, 2016 or until seats last and travel period on September 1, 2016 to December 15, 2016. Sale period: August 12-14, 2016 or until seats last.